Grounded in Freire’s critical pedagogy, this article highlights the journey of Afro-Brazilian teachers who teach marginalized populations by examining how their process of self-identity and efficacy informed their literacy practices and instructional decision-making. 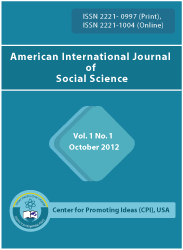 Using case study research methodology, this article examines how Afro-Brazilian teachers convey and enact their educational, social, and cultural experiences to develop self-identity and self-efficacy as educators. This paper draws heavily on the social and historical perspectives that contribute to the realities of the Afro-Brazilian teacher and their often-marginalized populations they teach. Hence, the phenomenological nature of the study suggests diverse implications for not only Afro-Brazilian teachers, but also Brazilian schools and society.